I live just around the corner from this little beach, and I’m very grateful for it. 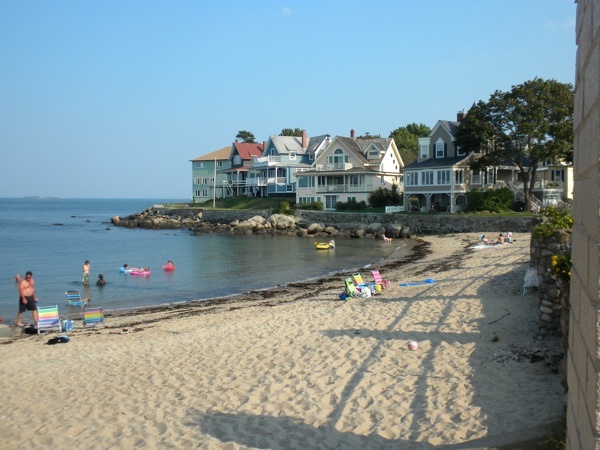 The first picture of Juniper Beach was taken in September. I took it the day before Hurricane Earl hit, or I should say “Hurri-lame Earl.” Although Earl blasted the Outer Banks of North Carolina, Earl spun off shore by the time it got as far north as Massachusetts. I was hoping to do some before, during and after shots, but Earl only sent us fog. 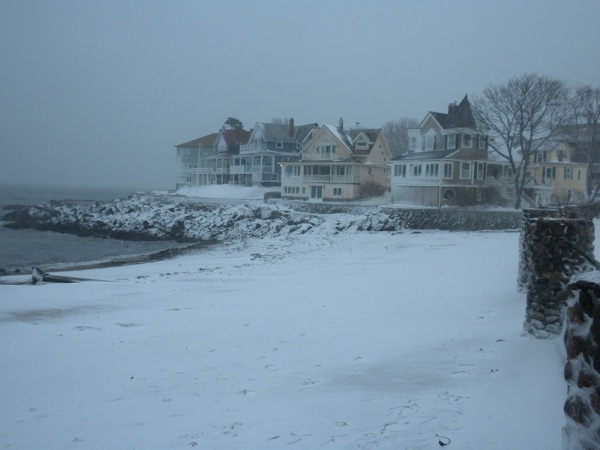 The second shot is Juniper Beach as the “Blizzard of 2010” draws to a close. My neighborhood was hit with a lot of drifting snow – not all that bad. Other towns in Mass were hit worse than we were. Juniper Beach & the "Blizzard of 2010"
Here’s Juniper Beach on August 28, 2011. Hurricane Irene blasted by Puerto Rico, and ran over the Bahamas. The storm then crashed into North Carolina, and sawed its way through Virginia, the Delmarva, and the Jersey Shore. When it hit New York City, it also slammed winds into Long Island and Southern New England. Then rain pummeled Western Massachusetts and Upstate New York. 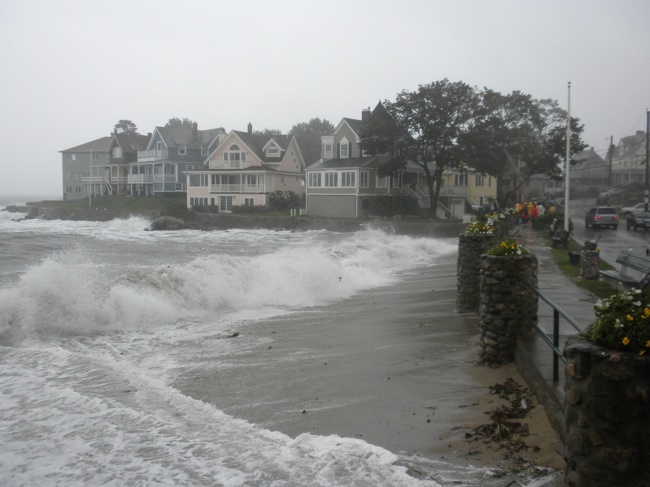 We in North Eastern Massachusetts “dodged the bullet.” We faced some heavy rain and tropical storm force winds. 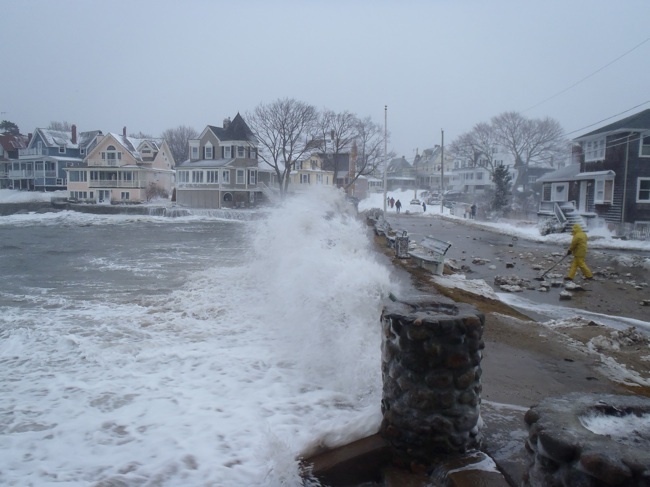 When such storms occur in coastal areas, It’s very dangerous to venture out during high tide. So naturally, I went out to very the surf and destruction, along with most of my neighbors. We’ve been through a lot worse: no flooded streets and not a lot of sand on the streets. We had one small tree go down. Here we go. The Blizzard of 2013. This is probably the roughest storm since I’ve lived here. I know the neighborhood has been through worse. We’ve got waves smashing and sand on the streets.